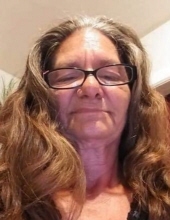 Heidi Martiny, age 58, passed away unexpectedly January 19, 2019. Heidi is survived by her mother, Judith Cropp; her two children, Tyrell White and Kristie Martiny; Kristie’s father, Heidi’s ex-husband, Richard Martiny; siblings Kevin, sister-in-law Mary, Kirt and Kendra Cropp; three grandchildren, Cameron, Victoria and Cassandra White; nieces and nephews along with many other family members and numerous friends. Heidi was preceded in death by her first husband, Randy White, and her father, Kenneth Cropp. Heidi loved living life to the fullest. She lived in many cities in Wisconsin, Colorado and also Arizona. No service will be held at this time, it will be set for a later date. To celebrate her life, condolences can be sent to Kendra Cropp at 691 S. Green Bay Road Apt. 107, Neenah, WI 54956. To plant a tree in memory of Heidi Martiny, please visit our Tribute Store. "Email Address" would like to share the life celebration of Heidi Martiny. Click on the "link" to go to share a favorite memory or leave a condolence message for the family.